The Youth Hostel Schaan - Vaduz in Liechtenstein. A wonderful place to climb ruins and explore the triangle. 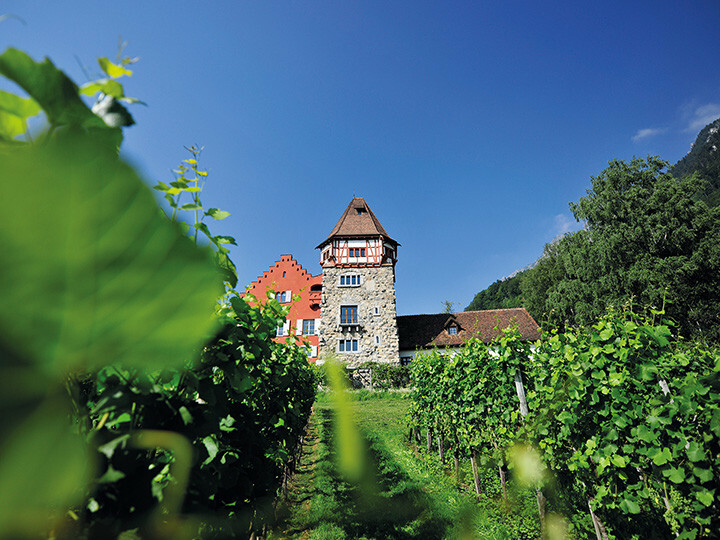 You could come across the Prince of Liechtenstein doing his shopping, go walking in "heaven", discover historic postage stamps, watch birds of prey taking part in the local falconry display, climb ruins or cycle to the disco in the neighbouring country. 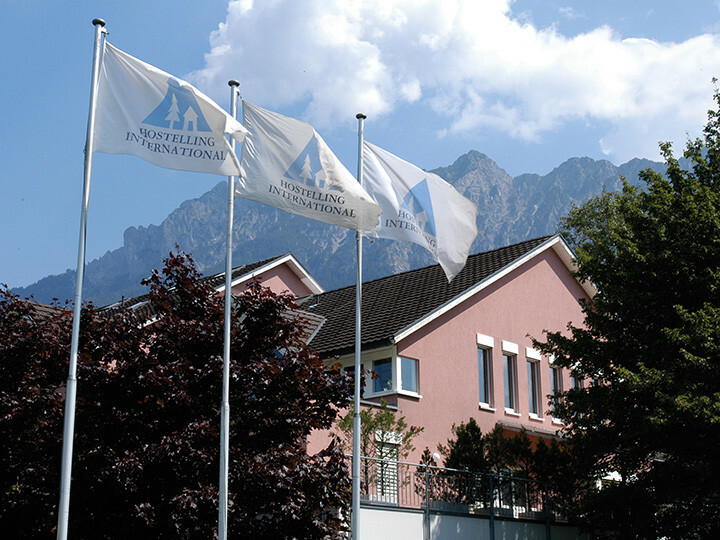 The Principality of Liechtenstein may only cover 160 square kilometres but it houses a wide variety of leisure and sports facilities. 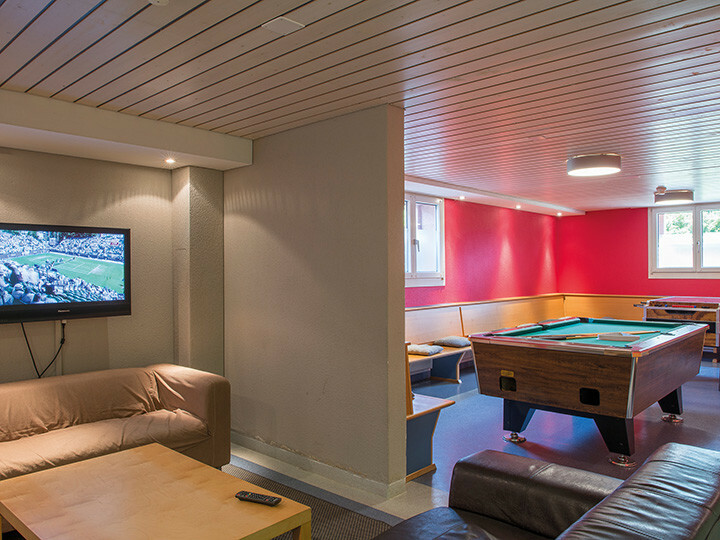 The youth hostel, right at its heart, is an inviting place from which to set off on your voyage of discovery. 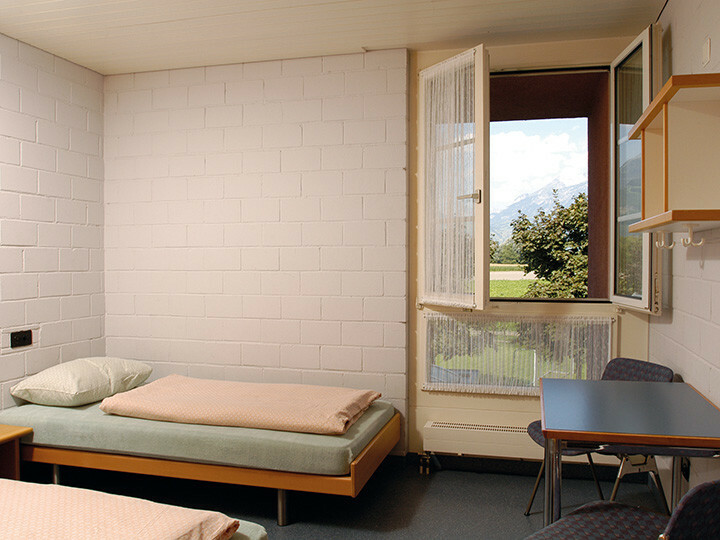 The youth hostel, which was renovated just a few years ago, lies in a rural setting 500 metres away from the main highway, at the point where Schaan and Vaduz meet. 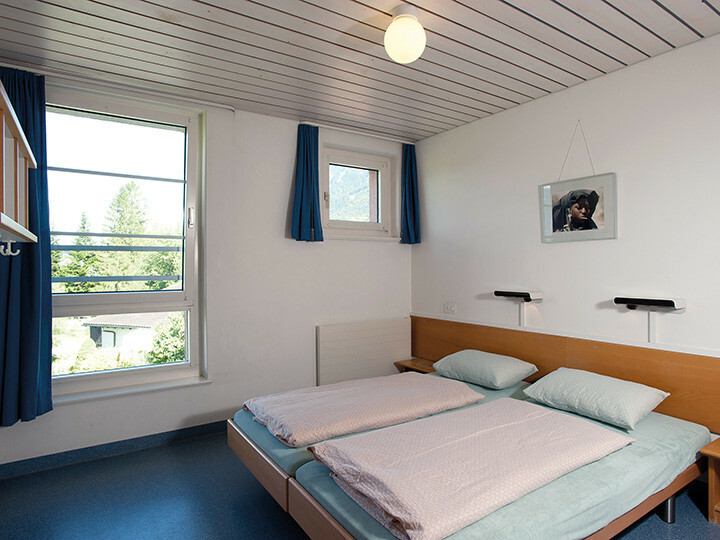 The hostel provides a place to stay en route for cyclists travelling the "Veloland Schweiz" Rhine cycle route. 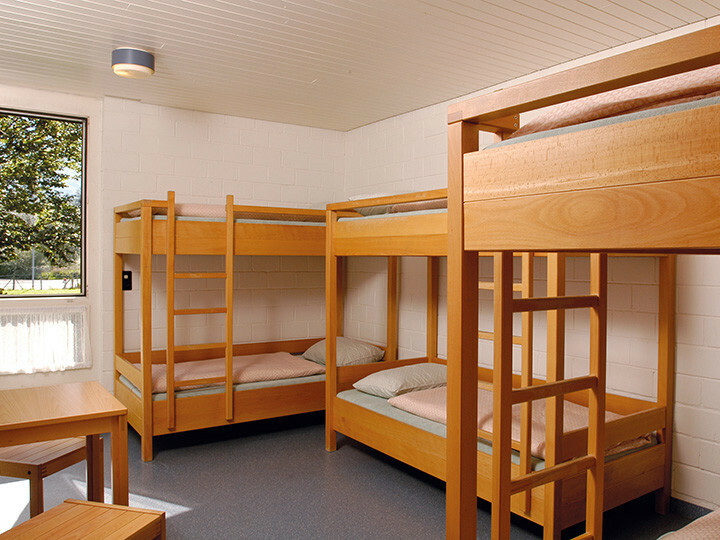 The bright and spacious hostel is particularly suitable for groups of sportsmen and -women and families. 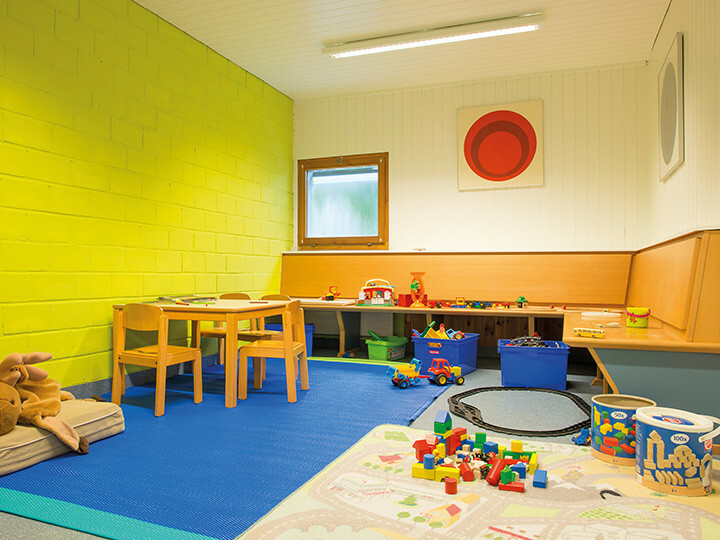 Family groups, looking for a quiet stay en famille, can stay in one of the hostel's family rooms. 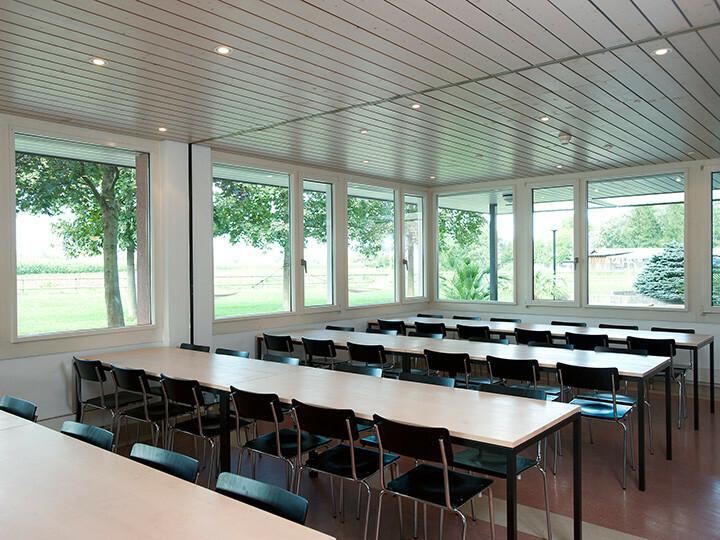 An attractive, well-equipped conference room, large enough to accommodate up to 60 delegates makes the hostel an appealing venue for seminars and project weeks. Diners can enjoy a panoramic view of fields and mountains, complete with fiery red sunset with their meal. Dinner is served from the barbecue, weather-permitting of course. 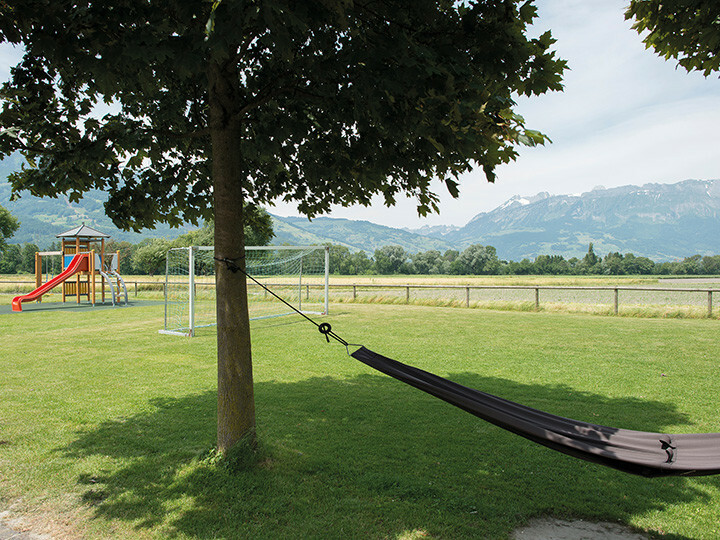 The field in front of the hostel is an ideal place for a game of football or table tennis and games equipment is also available.